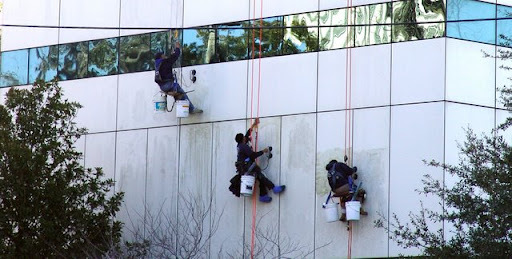 Our commercial painting and coating services in Los Angeles encompass a broad range of services that our clients expect from a professional commercial painting company. We have the experience to provide inexpensive commercial painting costs while providing professional painting and coating results. We know you have a choice when selecting a commercial painting contractor, and that is why we address every type of interior and exterior painting and coating need. out inexpensive, long lasting options to paint exterior surfaces, in order to provide our clients with the best possible return on their investment. This is just one of the many ways we strive to earn your business, because we know you have a choice when it comes to selecting a commercial painting company. 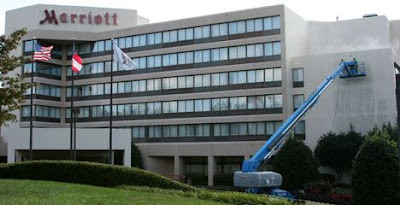 Many of our clients confirm that, when compared to other commercial painting companies, our prices are very competitive, especially after considering the results produced by our commercial painters. Our Painting division has specialized technicians that can perform services such as wet glazing, caulking and precast control joints. 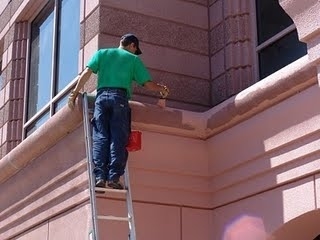 We assign separate project managers and separate crews for glass restoration, Painting and window cleaning. This is important to ensure that each technician is thoroughly trained in their area of expertise. 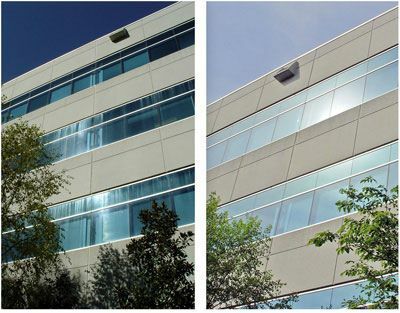 Allowing us to perform your Painting and your window cleaning needs insures that we can monitor the condition of your building’s exterior and make you aware of any issues long before they result in unexpected repair costs.